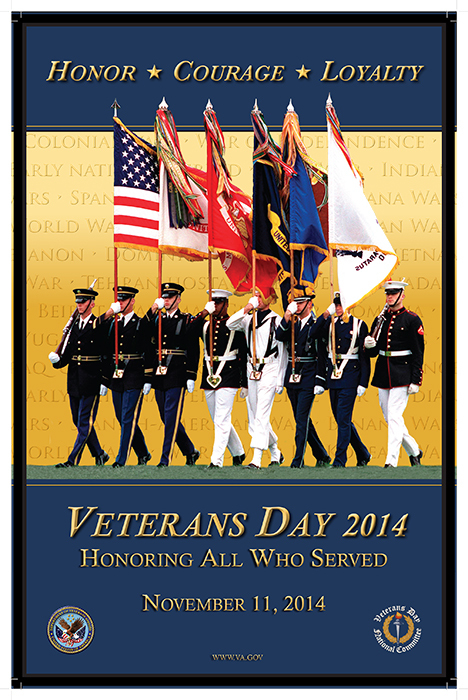 Official 2014 Veterans Day Poster courtesy http://www.va.gov. All VCNB banking centers and our Customer Service Department will be closed Tuesday, November 11 for Veteran’s Day. We are grateful to the men and women who have served this great nation and wish them all peace. This entry was posted in Community and tagged VCNB, Veterans Day by vcnbfamily. Bookmark the permalink.